What a beautiful five-armed chandelier with glass prisms by Chic Antique made of antique white iron. Suitable for the living room, dining room or hallway. Bulbs with max. 60 watts and with a small socket can be used with this nostalgic chandelier. (not included!) You can also use 15-watt bulbs if you do not have a dimmer. Otherwise, the light is very strong, but maybe you like it just like that. The chandelier offers a great contrast in a modern furnished house and also fits in a country house or in the home of a shabby chic lover. 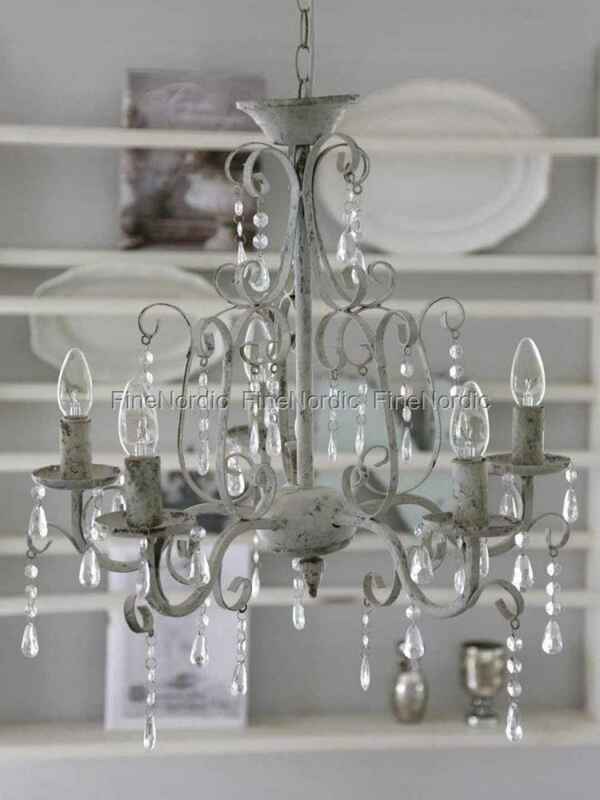 Small irregularities and scratches are intentional and add to the nostalgic charm of the chandelier.